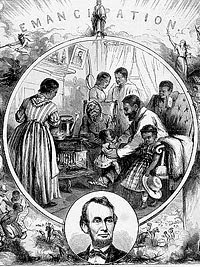 On This Day in 1865 . . .
the House of Representatives passed the 13th Amendment to the Constitution, which stated: "Neither slavery nor involuntary servitude, except as a punishment for crime whereof the party shall have been duly convicted, shall exist within the United States, or any place subject to their jurisdiction." The vote was 119 to 56. The amendment had come before the House of Representatives before, on June 15, 1864, and was defeated. The vote then was 93 in favor, 65 opposed, and 23 not voting. The last time Gossips published a rendering of the design for the new police and courts building, it caused quite a brouhaha. According to Mayor William Hallenbeck, as reported in the Register-Star, it led to "an outcry of opposition" and inspired him to complain that he and his assistant, Gene Shetsky, whom he had designated "clerk of the works" for the project, had been "left out of the loop on recent decision-making regarding the design of the building." He called for a public hearing on the design. After a meeting in early January, at which the "task plan schedule" adopted in September was reviewed, the mayor backed off the idea of a public hearing and seemed satisfied that the review by the Historic Preservation Commission would provide sufficient opportunity for the public to comment on the design. The rendering that caused all the kerfuffle was not, according to Alderman Nick Haddad (First Ward), who is the point man on the Council for the project, the final iteration. This one is. Haddad told Gossips that final decisions about exterior material and color have not yet been made and a series of mock-ups will be done, to assist in decision making, before materials and a color scheme are determined and any exterior finishes are applied. This process, Haddad said, will probably happen sometime in July. It is expected that the design for the police and court building will come before the Historic Preservation Commission at its meeting on Friday, February 13. The HPC meets at 10 a.m. at City Hall. The existing building is a noncontributing structure in a locally designated historic district. The preservation law specifies that the HPC's review of the design be based on its compatibility with the surrounding neighborhood. Chapter 169-6 B of the city code lists the factors the HPC must consider when applying the principle of compatibility. Isidro Blasco bought this early house at the corner of State and Third streets in November. Before beginning the renovation of the house, he decided to invite fourteen artists to apply their ideas to the structure. The fourteen artists are (in alphabetical order) Beth Campbell, Clare Churchouse, Andrew duPont, Max Goldfarb, Laetitia Hussain, Mala Iqbal, Laura King, Tom Kotik, Jaime Munarriz, Ivan Navarro, Ruby Palmer, Karina Skvirsky, Grace Sullivan, and Dannielle Tegeder. Blasco says of the event: "We are investigating how the architectural elements of a house might turn out differently from what is generally accepted an normal. We are implicitly rejecting the status quo of the standardized home, where decisions are based on economical or aesthetic factors and not through real perceptions of space and emotions. We look for a new path. An outcome more connected to contemporary inhabitants and users of a home. In doing so, familiar outcomes may find other solutions." The project, called Interventions II, opened yesterday and continues today and tomorrow from 11 a.m. until 7 p.m. There is a reception today at 1 p.m. The house is located at 257 State Street. Timothy O'Connor has been waging a lonely war against the Hudson's $600,000 Community Development Block Grant project which would separate storm water runoff from the sanitary sewer system at Front and State streets and direct the storm water runoff into North Bay. Last Wednesday, January 21, O'Connor outlined his concerns about the plan in a "My View" in the Register-Star. Of particular concern is that the project will bypass environmental scrutiny because it has been determined to be a Type II action, one not requiring further State Environmental Quality Review (SEQR) or the preparation of an Environmental Assessment Form (EAF). North Bay is part of the state-designated "Significant Fish and Wildlife Habitat" known as Stockport Creek and Flats. Storm water runoff contains salts, oils, trash, sediments, and other pollutants that can harm the ecosystem of North Bay and the Hudson River. 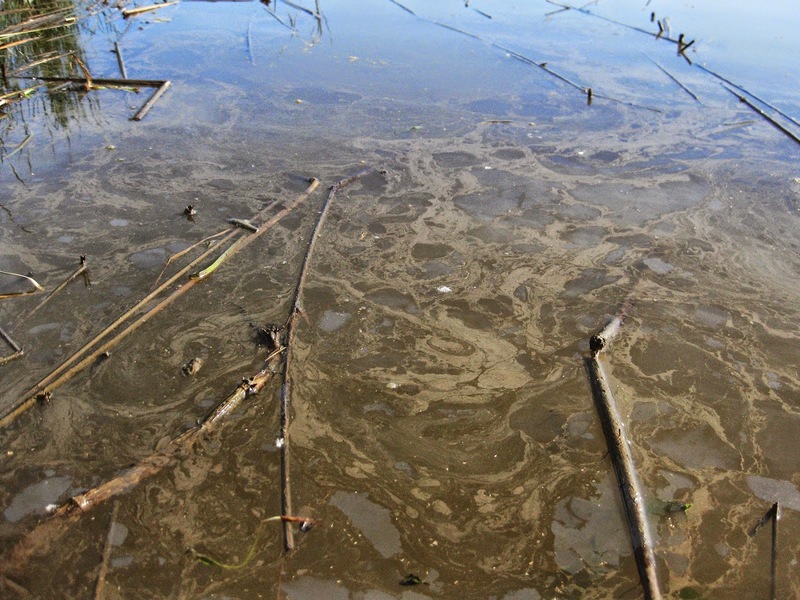 The pictures that accompany this post, documenting the poor water quality in North Bay on June 21, 2014, are from O'Connor's blog, Hudson Meets Hudson. The mayor has more to say about parking permits for residents on his Facebook page. It all started in June 2014, when Mayor William Hallenbeck proposed a plan to ameliorate the parking problems around the hospital: resident parking permits. In the usual course of things, the proposal went to the Common Council Legal Committee to be turned into a law. Two months later, the mayor was complaining bitterly to the press that the Legal Committee was turning his proposal "into a monster." One of the things the Legal Committee had done was to expand the proposal to include additional streets--Warren Street from Eight Street to Worth Avenue, Frederick Street, and Worth and Rossman avenues. "It seems now," the mayor grumbled, "that my proposal is not my proposal anymore; it's becoming the proposal of the Legal Committee, who have the option of changing things and bringing it to the council." Now, in January 2015, the law is ready to move forward. It is anticipated that the law will be in its final form, with a map showing the areas affected, for the February Common Council meeting. The next step is for the Council to pass a "home rule message" and to submit the law to the Hudson and Columbia County planning boards for review. But there's a new wrinkle. The mayor wants the law to be expanded to include all of Hudson, requiring every resident who does not have offstreet parking to have a permit to park on the street in front of his or her home. Read all about it in today's Register-Star: "As parking plan heads for home, mayor looks citywide." The concept of a lodging tax--a tax levied on room rates in hotels and B&Bs--was first suggested in a public meeting back in September by Alderman John Friedman (Third Ward). The rationale for the tax was explained by Alderman Nick Haddad (First Ward) in a press release issued a few weeks ago by the Common Council Finance and Legal committees. (Friedman chairs the Legal Committee; Haddad chairs the Finance Committee.) "The Finance Committee has challenged itself to replace $1 million of the roughly $4 million property owners contribute to the City budget each year by broadening the tax base." A 4 percent lodging tax is one of the strategies for achieving that goal. Haddad goes on to say: "We've been very sensitive to how such a tax might harm our lodging sector. But all of our research indicates--and we can't find anything to contradict it--that consumers expect to pay a lodging tax and so adding one where there is none has no effect on demand for rooms." Friedman added that the national average for a room tax is 14 percent. What is being proposed is a 4 percent tax, which combined with the existing 8 percent sales tax will be 12 percent--below the national average. 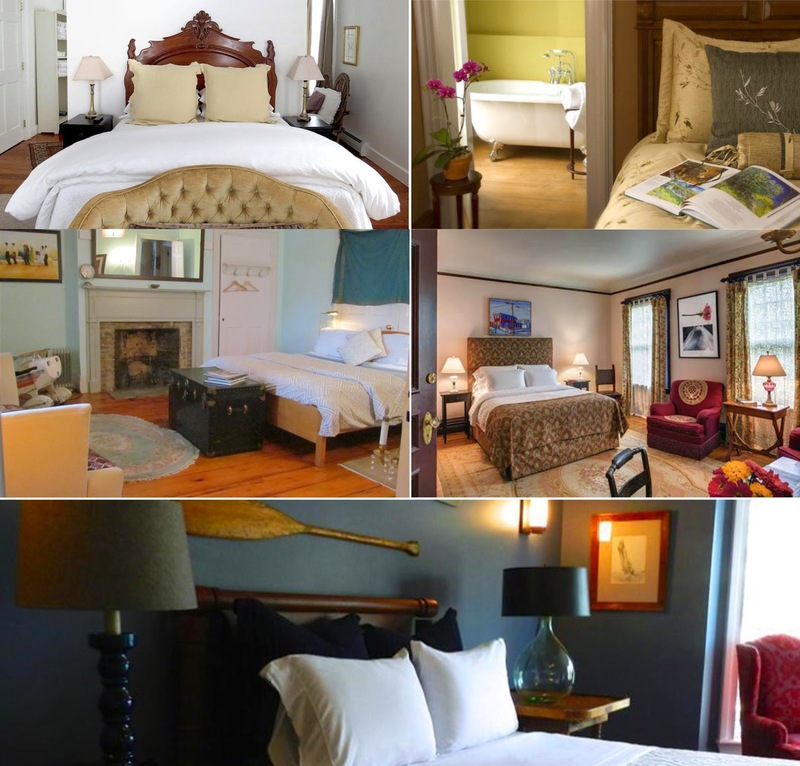 The proprietors of the established B&Bs, inns, and hotels in Hudson are not sanguine about the proposed lodging tax. The fear is that an additional 4 percent tax will drive visitors from the traditional lodging to the many apartments, houses, and guest rooms being marketed on AirBnB and VRBO and an "informal hotel" that Friedman says is "operating under the radar" where the lodging tax may not be charged. To make the case for the lodging tax, which Haddad stresses "is financed by visitors not locals and in a manner the research shows doesn't affect demand," the Finance and Legal committees have scheduled a public hearing to take place on Thursday, February 12, beginning at 6 p.m., at City Hall. Friedman explains, "This hearing will be a forum for the Committees to hear from members of the community on the various issues surrounding a lodging tax and how it is applied, as well as the impact of short-term stay services on the lodging industry and neighborhoods." 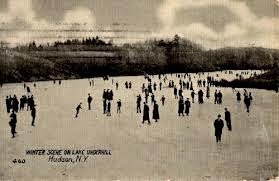 Ice skating on Oakland Lake (and Underhill Pond a hundred years ago) has been a grand tradition in Hudson. This year, although it's certainly been cold enough for the lake to be solidly frozen over, the ice has not been cleared of snow and no flag has gone up to signal that it's safe to skate. Last night, at the Common Council Public Works Committee meeting, DPW superintendent Rob Perry shared the back story of why there is no skating on the lake this year. It seems that a representative of the City's insurer was visiting the mayor's office, where the mayor has displayed on the wall a picture of people skating on Oakdale Lake. The insurance guy commented about the good old days when people skated on frozen water bodies. The mayor told him that the picture had been taken just last winter, occasioning the insurance guy to inform the mayor that the City's liability insurance would not cover ice skating on open water. To compensate, the Department of Public Works is at work creating an ice rink at Oakdale. 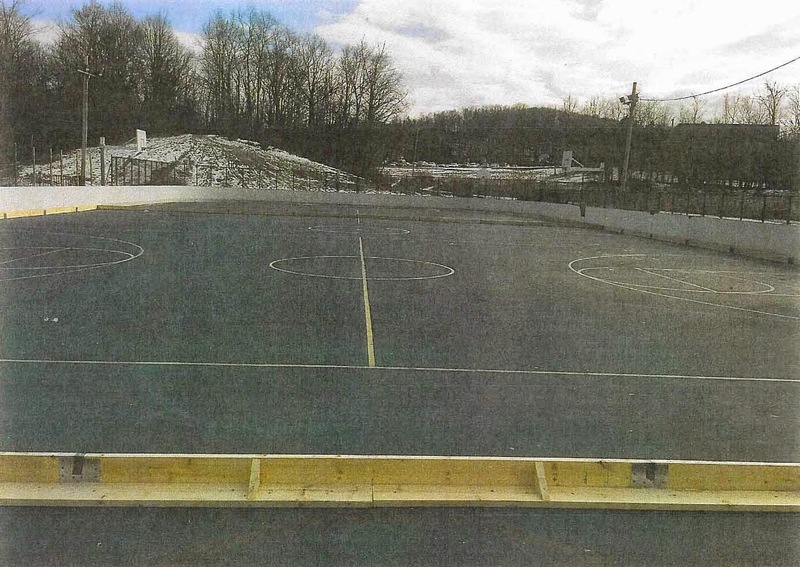 Progress has been stalled awaiting delivery of a white tarp to be placed under the ice (the asphalt absorbs heat from the sun and melts the ice) and weather that will free up DPW workers from snow plowing duties so work on the rink can proceed. According to the Register-Star, Mayor William Hallenbeck is proposing that, twice a year, residents be allowed to put junked appliances, furniture, mattresses, old tires, and other "bulk items" at the curb for the Department of Public Works to pick up free of charge: "Mayor looks to start up bulk item day." Currently, such items are picked up only once a year, and anyone who wants DPW to haul these things away must make arrangements in advance and pay a fee. The mayor wants this service offered twice a year, and he wants it to be free. The mayor sees this as a quality of life issue. 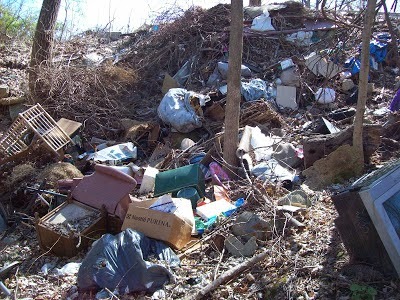 "The charge for the service reduces the amount of participants, allowing for the items to be dumped illegally in alleys and yards, creating unsafe and dangerous conditions." DWP superintendent Rob Perry is quoted in the article as saying "he imagined the service would be 'extremely expensive,' possibly $10,000 to $20,000, because of the large amount of dumping to be expected if there were no threat of punishment." The mayor, however, in a statement quoted twice in the article, thinks the City can well afford it because of our healthy fund balance: "We have generated a lot of revenue and increased our fund balance substantially over my terms as a mayor. It's time we give a little relief to our residents." That statement raises some questions. The mayor makes much of his success in holding the line on property taxes--"keeping our taxes low," as some of his supporters like to put it, although most Hudson property owners would complain that our taxes are hardly low. The mayor fought mightily to prevent the Common Council from raising an additional $70,000 in property taxes in 2015 to help create a capital reserve fund to pay for anticipated expenses not far down the road--replacing the Ferry Street Bridge and buying a new ladder truck for the fire department. So how, in three years of the current mayor's administration, did we end up with $1 million more in the fund balance? Were property owners in Hudson taxed $1 million more than was actually needed to run the City? That hardly seems likely. During the discussion surrounding the 2015 budget and the capital reserve fund at a Common Council meeting in November, city treasurer Heather Campbell explained that a fund balance "is not a pool of money just sitting there." She equated a fund balance with shareholders' equity. "If you sold everything you had and paid all that you owed, what would be left over is the fund balance." If you Google fund balance, you find the same information. This from the Governmental Accounting Standards Board: "Most simply, fund balance is the difference between assets and liabilities in a governmental fund." It's probably a mistake to think that the City has an extra million dollars someplace, burning a hole in the municipal pocket, but even if it were true, does it make sense to spend even a small part of the money in this way? 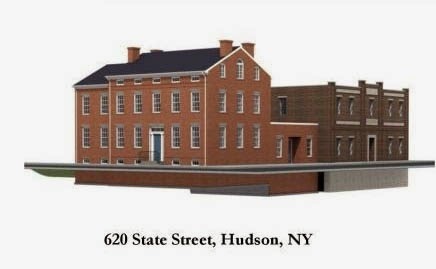 How much "relief" would this actually provide the property owners of Hudson? How often does the average household find it necessary to discard a refrigerator or a mattress or tires? And would the people who dump such things in out-of-the-way places around town really wait until the designated day to put it out on the street, even if that day happened twice a year and the discarded item would be hauled away for free? According to the article, "The mayor said he's asking the Common Council to do a feasibility study prior to approving the cleanup days." 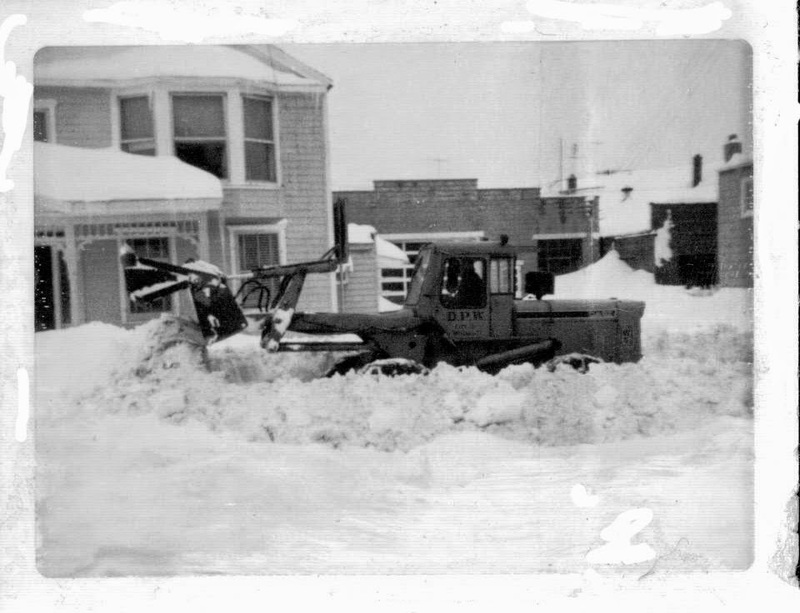 Winter Storm Juno, which didn't live up to its hype, inspired Bob Tomaso to share with Gossips these pictures of the memorable post-Christmas snowstorm of 1969 and to explain that, back then, before robo calls and texting and email, school closures were announced by ten blasts of the fire alarm. All the pictures that follow were taken on Eighth Street. Richardson said he would like to see more active recruitment of minorities for local law enforcement agencies. He said he thinks there are only three minority officers in the HPD, the county Sheriff's Office and the locally based state police combined. "Is there a real commitment to go out and actively recruit minorities?" Richardson asked. Today, sixteen years later, the Register-Star reports on a new program that "aims to develop a pool of minority candidates that are able and willing to take advantage of openings for police officers": "Program looks to up police minority hiring." 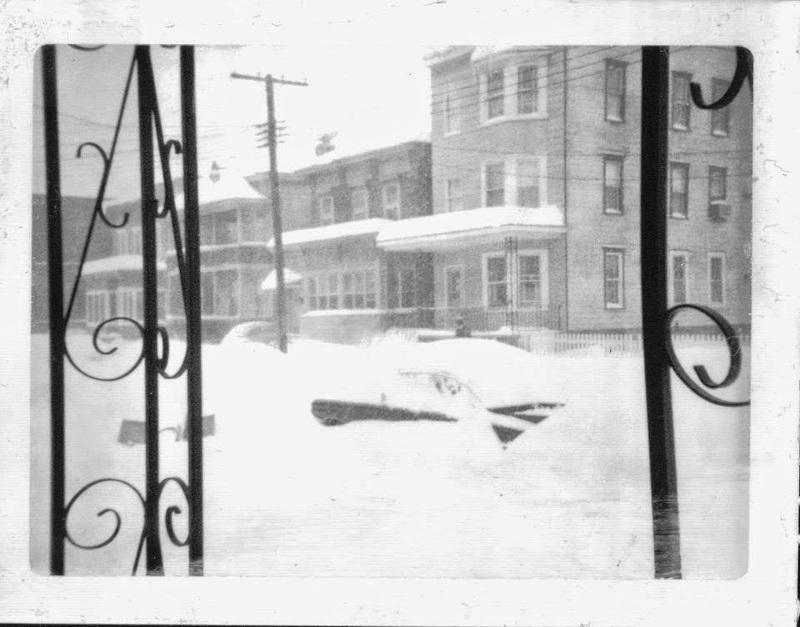 The New York Times is comparing Winter Storm Juno with the blizzard that occurred on December 26 and 27 in 1947. 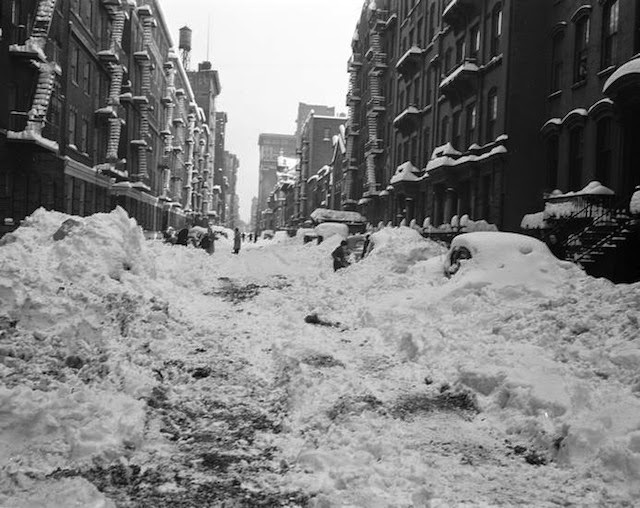 Gossips doesn't know what the effects of the 1947 blizzard were on Hudson, but we do know about the blizzard of 1888. Here's what was reported in the Evening Register on March 12, 1888, on the second day of the storm, which began on March 11 and ended on March 14.
. . . The boy with his snow shovel became discouraged early this morning. The snow storm raised the d--- with the telegraph wires to-day. Business along the wharves, piers and slips was suspended to-day. It is a cold day when it snows in bed. If you don't get your REGISTER this evening, we shall say the carrier boy knows his "biz." "Did you blow in?" is what the business man said to-day to his customers. The boys postponed their games of marbles to-day, on account of the weather. The "little German band" did not "spiel" on the streets to-day. Milkmen who came to this city this morning with wagons, had a hard time getting home. A colored woman passed down Warren street this morning during the blizzard, with a paper box of ice cream. This was a good day to take inventory of stock. The railroad officials in this city refused to take freight to-day. The members of the police force were anxious to lose a day, rather than face the storm. There is no more need of directing the policemen to strike their clubs on the curbstones, for "they can't do it, you know." The firemen and policemen should do their duty now—or never. A terrible storm of wind and snow set in last evening and continued throughout most of the day. The snow was light and dry and flew through the air like smoke. 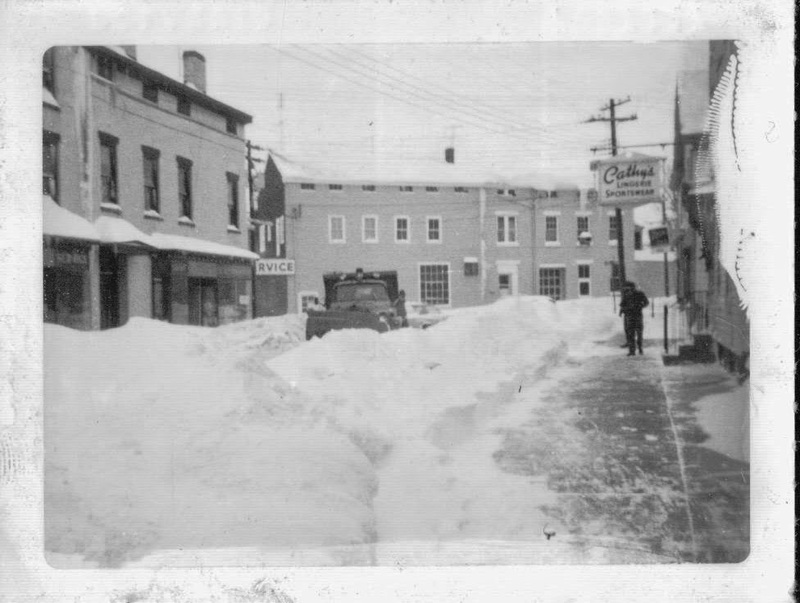 The streets and highways are drifted, and the storm was the most severe of the season. Trains and mails were delayed and out-door business generally suspended. Why not let Dakota into the Union and stop all this bluster? A dispatch to this office this morning says at 8 o'clock this morning in a blinding snowstorm the Atlantic express bound south on the Hudson River railroad, ran into the rear of another Atlantic express at Dobbs Ferry, demolishing the cars. Four persons are known to have been badly injured. Both tracks are badly obstructed. All south-bound trains are held at Tarrytown. The snowstorm commenced yesterday afternoon is the heaviest in several years. It is still in progress with a heavy wind. The snow is between twelve and eighteen inches deep. All trains on both the West Shore and Hudson River railroad are much behind. Don't want to worry about digging your car out and moving it from one side of the street to the other during the snow emergency? Mayor William Hallenbeck and the Hudson Development Corporation have announced an option. You can take your car down to the parking lot at the state boat launch and leave it there until Wednesday. 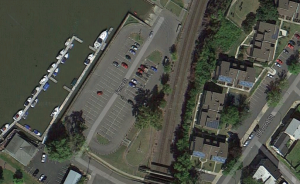 If you elect to park your car at the boat launch, it must be parked in a designated parking space so that paths through the lot can be plowed. When the snowstorm is over, owners are responsible for shoveling their cars out. No assistance will be provided. If you don't get your car out of the lot before 6 p.m. on Wednesday, it will be towed. The invitation comes with this additional caveat: "If your vehicle does not have sufficient tires for driving in the snow, you should not consider using this lot at this time." The first flakes of snow have started to fall. 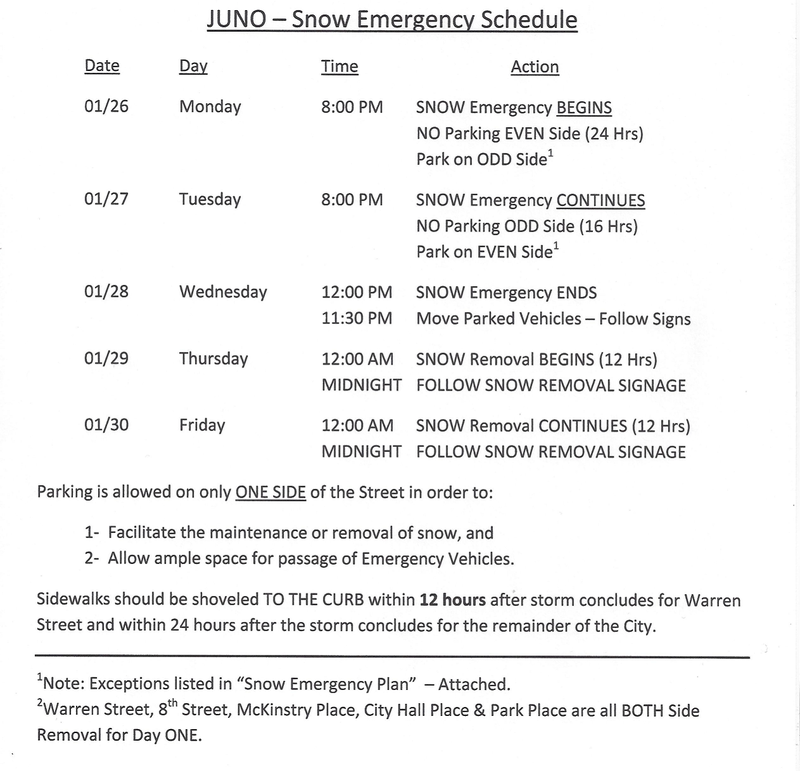 Two hours ago, the mayor declared a snow emergency and laid out the parking rules for the rest of the week, beginning at 8 p.m. today and continuing through until midnight on Friday. The actual snow emergency ends of 12 noon on Wednesday. Snow removal will take place, after midnight, on Thursday and Friday mornings. Winter Storm Juno is predicted to be of historic proportion. 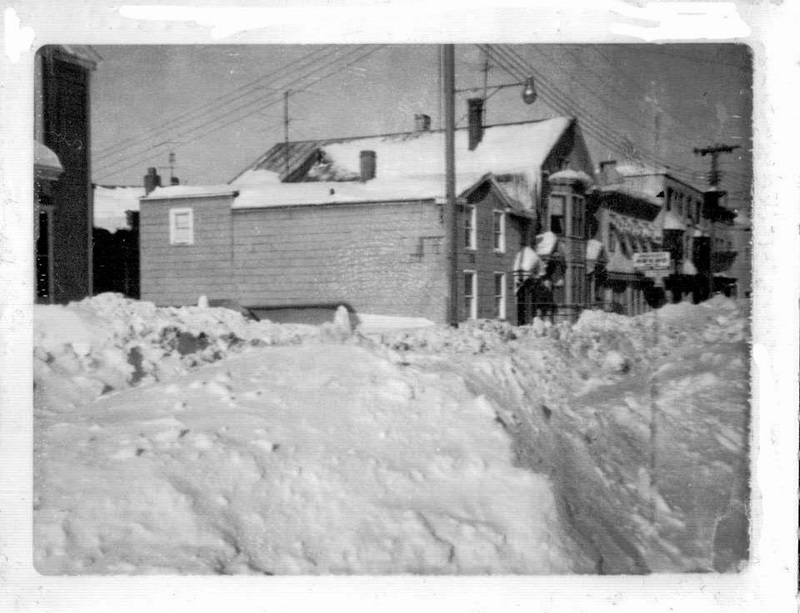 The picture below shows the 400 block of Warren Street after the the Blizzard of 1888. Winter Storm Juno, the predicted blizzard of historic proportion, isn't due to begin until sometime Monday afternoon, but already it's being cited as the reason why the mayor's interview on WCXG is being put off until some unspecified date. The WGXC website explains: "Due to the inclement weather expected Wed., Jan. 28, the show featuring Hudson Mayor William H. Hallenbeck, Jr. has been postponed. Tune in on a future date when Hallenbeck will be in the studio to discuss local law enforcement, economic development and local politics." A Gossips informant was at the New York Times Travel Show today and attended a seminar called "Northeast Weekend Getaways and Day Trips." The first destination mentioned by Paul Brady, deputy consumer news editor at Condé Nast Traveler, was our own quirky little city, Hudson. The message was, although it can no longer be considered undiscovered, Hudson has changed so much recently that it deserves to be visited again. Truth be told, I am not a great fan of Facebook. I rely on it to keep up with my nieces and nephews in Michigan but use it mostly to post pictures of my dog. The more Facebook friends I acquire, the more posts I have to scroll through, often wondering how they ended up on my home page. Today the social networking paid off. 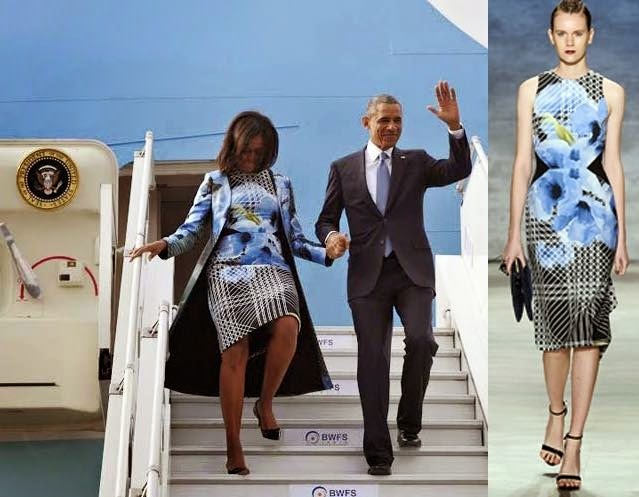 I got to see a picture of First Lady Michelle Obama stepping off Air Force One in India wearing a Bibhu Mohapatra ensemble, because, I discover, Bibhu and I have sixteen mutual friends! Hudson's own Faux Meek (Rob Williams, Josh Miesmer, Damara Rose, and Gabe Schaftlein) has self-released a new album. It's called More or Less Resilience, and it's available on iTunes. You can hear some of the songs from the album on YouTube. Earlier this month, WAMC did a story about the plans being made in Northhampton, MA, to install solar panels on a capped landfill: "Northhampton Moving Ahead with Landfill Solar Project." The goal is to reduce the city's carbon footprint and provide a new source of revenue. Related to this community-based effort to produce power in Massachusetts, on Wednesday night, Citizens for Local Power is holding a public forum in Kingston called "Taking Control of Our Energy Supply Through Community Choice Aggregation." 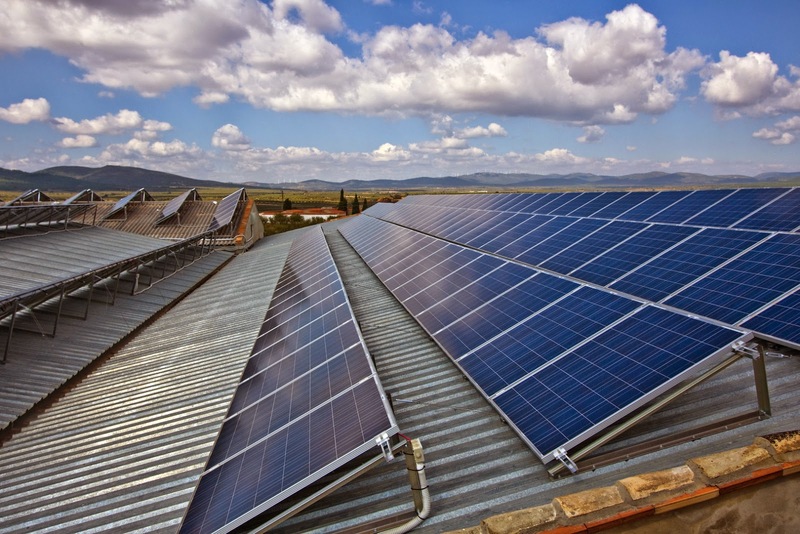 The forum will discuss how Community Choice Aggregation can help municipal, residential, and small business customers purchase cheaper, cleaner energy and offer energy efficiency and renewable energy services. The forum takes place from 7 to 9 p.m. on Wednesday, January 28, in the Common Council Chambers at Kingston City Hall, 420 Broadway. This afternoon, Mayor William Hallenbeck vetoed a Common Council resolution that would have allowed the Council to retain its own attorney to advise them in matters before them. The mayor had asked for a written opinion from corporation counsel, Carl Whitbeck, on whether or not the charter allowed this. Whitbeck's opinion was that it did. In spite of this, the mayor vetoed the resolution. The full text of Whitbeck's statement may be seen here. The full text the mayor's veto may be seen here. What follows is Common Council president Don Moore's response to the veto. In football, they would call the Mayor's veto of the Council attorney resolution moving the goal posts. The Mayor requested and the entire Council, even Aldermen who didn't vote for the resolution, agreed that they would accept an opinion from the City's senior corporation counsel, Carl Whitbeck, on the legality of the resolution. Mr. Whitbeck, hired by the Mayor, is as knowledgable and respected an attorney as can be found in Hudson, as is his law firm. But the Corporation Counsel's unequivocal opinion wasn't what the Mayor wanted to hear, so he ignores it, even misinterprets it. How do you work with someone who doesn't want to play by the rules when they are spelled out for him? The Mayor raises the false issue of additional cost. The Council resolution very specifically does not increase costs. It does reduce the compensation to be paid the assistant corporation counsel who will have substantially reduced responsibilities from the position paid the same amount last year, $27,500. You do half the work, you don't get paid the same compensation. Am I missing something? Just yesterday I got a blast from Modern Farmer and wondered if we might get a good snow so I could try making snow cream. 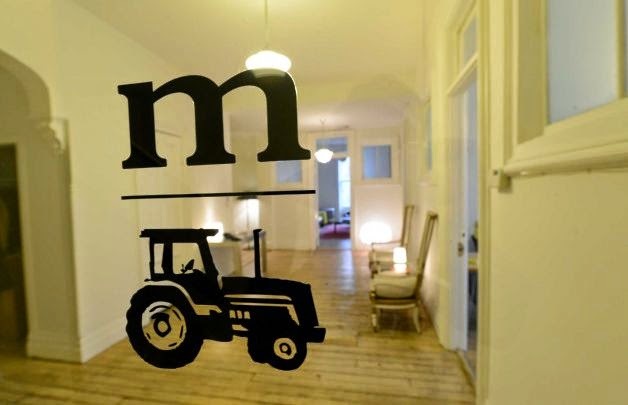 Alas, today, there is an article in the New York Times about the magazine that began so brilliantly almost two years ago: "Modern Farmer's Future in Doubt." After the Common Council passes a resolution, the mayor has three days to either sign it or veto it. The end of business today was the deadline for the mayor to act on the resolution passed on Tuesday, allowing the Common Council to contract with an attorney to provide legal advice. Before the vote was taken on Tuesday, the mayor declared that "if this body should pass this resolution," he wanted an opinion in writing from the "real legal counsel" before he would sign it. The resolution passed, with only Robert "Doc" Donahue (Fifth Ward) voting against it and Abdus Miah (Second Ward) abstaining. The mayor got the opinion in writing he sought from city attorney Carl G. Whitbeck. In response to the question of whether the Common Council "can retain its own legal advisor independent of Corporation Counsel for the City," Whitbeck answered, "Yes, for the limited purpose of advising the Common Council." Still, shortly after 4 p.m. today, the mayor vetoed the resolution. A two-thirds majority is required to override a mayoral veto. If all the aldermen vote as they did on Tuesday, there will be 1,486 affirmative votes. If my math skills serve, 1,350 votes are required for a two-thirds majority. 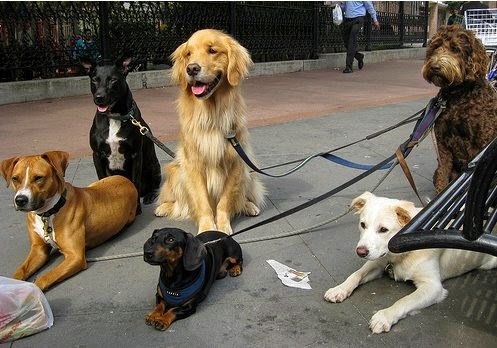 At about this time last year, Gossips published the statistics for dogs licensed in the City of Hudson in 2013. Today, the city clerk's office provided the same information for 2014. The number of spayed female dogs and the number of unneutered male dogs both decreased, by 10 percent and 20 percent respectively. The total number of dogs licensed in Hudson in 2013 was 266; in 2014, it was 254. It is not clear, however, if there were fewer dogs in Hudson in 2014 or if fewer people licensed their dogs in 2014. Back in 2010 to 2012, dealing with the county's homeless population was a regular topic of discussion in county government, and a couple of different plans to address the problem were advanced--all of which centered on Hudson. 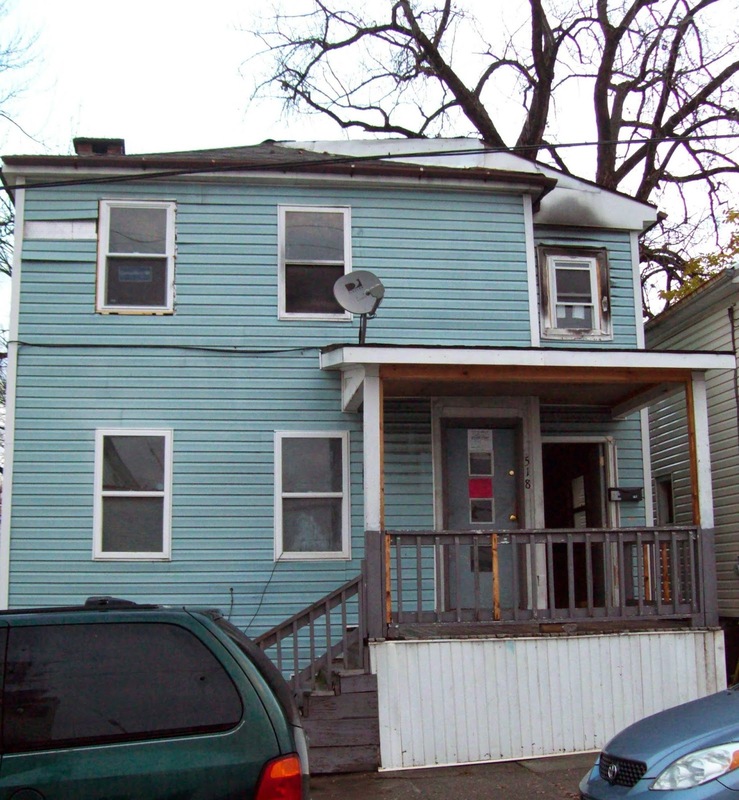 The first was "congregate housing," which involved renovating and furnishing two three-bedroom apartments in this house on Columbia Street, owned by Phil Gellert, and housing eight homeless people there--four in each apartment. Although the county entered into a lease agreement with Gellert to rent the apartments for $2,300 a month, that scheme had to be abandoned when it was discovered that the City of Hudson zoning code does not permit such group homes in that part of the city. Then there was the "three tier program" to help people out of homelessness. This time the Galvan Initiatives Foundation played a central role. 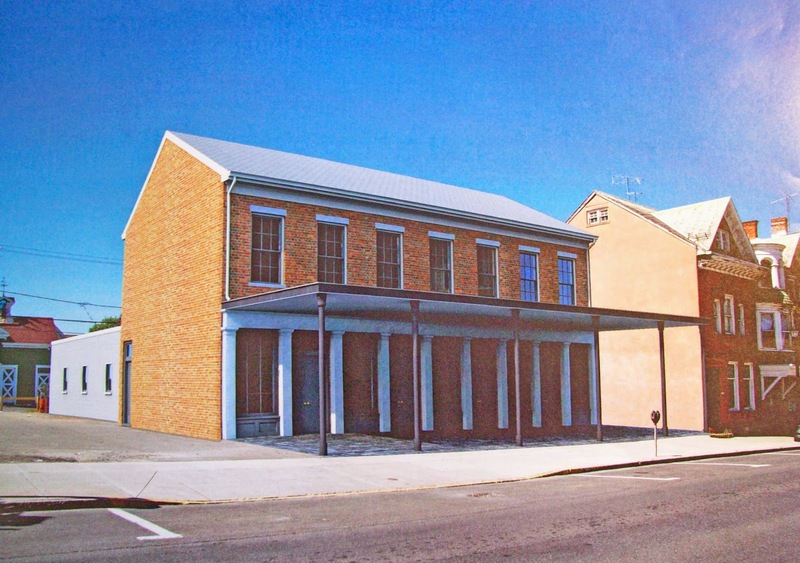 Tier I and Tier II were to be housed in the old orphanage and former car garage at State and Seventh street, dubbed "Galvan Quarters," properties owned by Galvan, and Tier III was to be atop the proposed police and court building, called "Civic Hudson," to be built by Galvan at the corner of Fourth and Columbia streets. Then in 2013, all talk of providing for the homeless suddenly ceased when it was revealed that the homeless population of Columbia County dwindled to eight. Now it seems, according to an article in the Register-Star today, the topic is back on the table: "County Department of Social Services looks into homeless issue." Supervisor Rick Scalera (Fifth Ward), who probably should recuse himself from all discussion of the subject since he is a "special adviser" to the Galvan Foundation, which figured largely in a past scheme to address homelessness, is quoted as saying, "There was a time when the homeless issue was on the front burner and it quickly went on the back burner, and all of a sudden the issue went away. Amazingly, in six months time there were no homelessness issues." A week ago, Sam Pratt confirmed that A. Colarusso & Son had purchased Holcim's property in Hudson and Greenport: "Colarusso paid just $8.75 million to acquire 2o Holcim parcels." 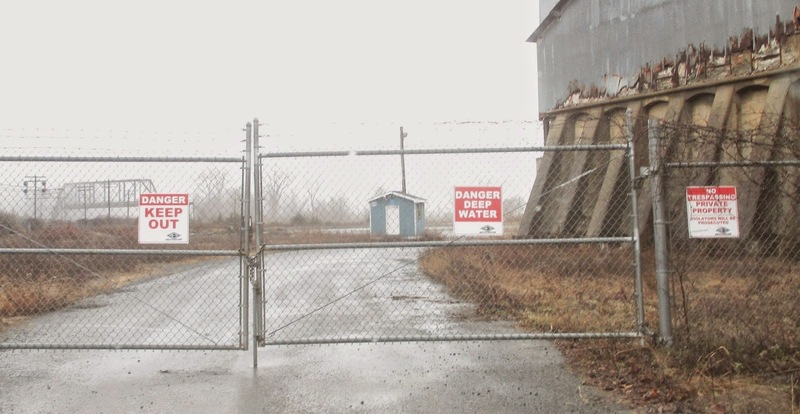 Today, the Register-Star catches up: "Cement company's land goes to Colarusso & Son." 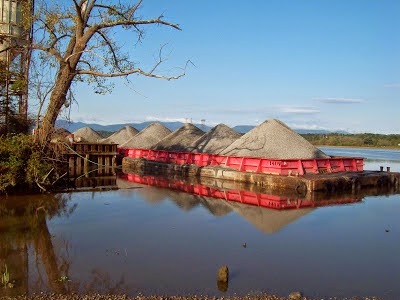 The article's lede seems a bit of an overstatement: "Local leaders are welcoming the transfer of most of the lands of the cement company Holcim U.S. to the Greenport sand-and-gravel company A. Colarusso & Son." The article quotes Common Council president Don Moore ("I hope it's good for their business, I hope it is good for the city. 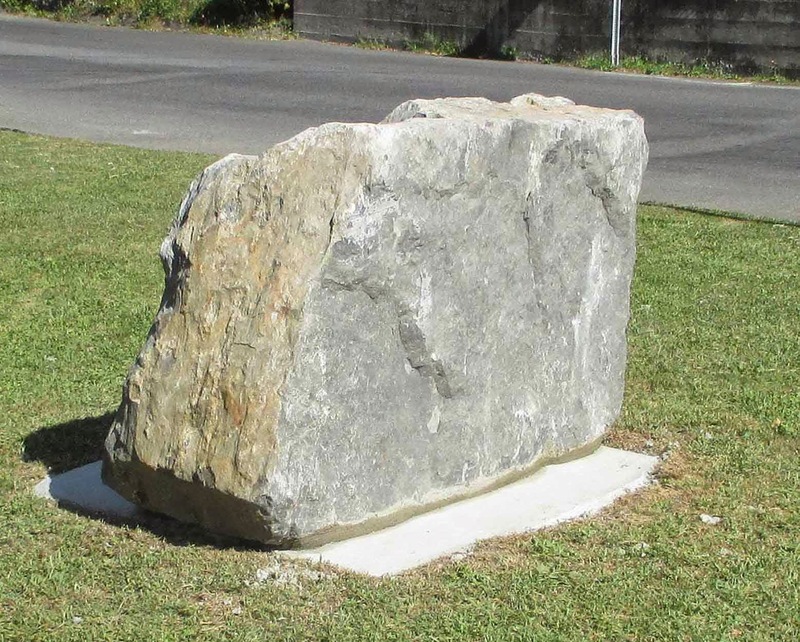 "), Greenport town supervisor John Porreca ("I imagine it will be for increased production as far as taking the stone and moving it to the waterfront. "), and First Ward alderman David Marston ("I'm pleased to see local ownership and operation."). 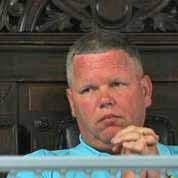 Mayor William Hallenbeck declined to comment, as did a representative from A. Colarusso & Son. During the mayoral election in 2013, Mayor William Hallenbeck refused to debate his Democratic challenger, Victor Mendolia, choosing instead to participate in a kind of pseudo-debate: a videotape of him answering ten questions posed by Greg Mosley paired with a videotape of Mendolia answering the same ten questions. It may be just coincidence, but it appears that the mayor is doing something similar and starting early. 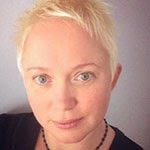 Yesterday, Tiffany Martin Hamilton, who has declared her intention to run for mayor in November, was interviewed on WGXC by Victor Mendolia, Debora Gilbert, and Debby Mayer--Democrats all--on the show called @Issue. Gossips has learned that next Wednesday, at 10 a.m., Hallenbeck will be interviewed by Ed Fertik, "Tea Party activist and citizen journalist/writer/commentator," and Holly Tanner, Columbia County clerk, on the show called The Right Opinion. 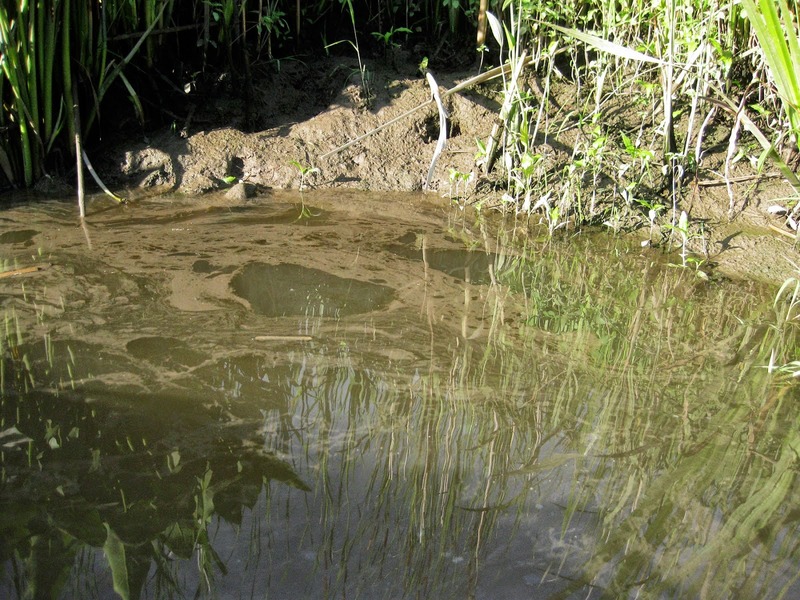 Yesterday, the Register-Star published a "My View" written by Timothy O'Connor, tireless advocate for Hudson's underappreciated bays and wetlands: "Causing more pollution." In it, he questions both the process and the goal of Hudson's latest Community Development Block Grant and argues that the City's plan to separate storm water runoff from the sanitary sewer will result in more and unacceptable pollution in North Bay. 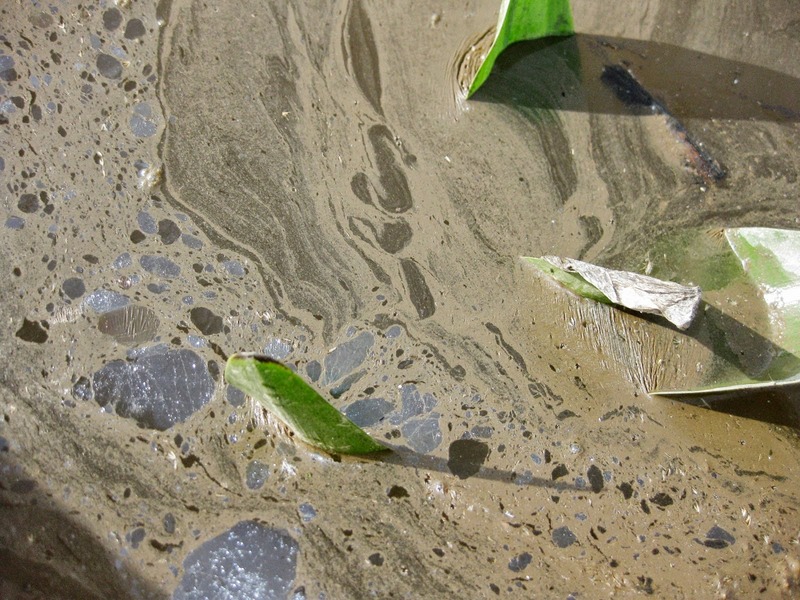 O'Connor provides photographic documentation of the pollution now evident in North Bay on his blog Hudson Meets Hudson. The photo accompanying this post is from O'Connor's blog. It's been four years since a group of interested Hudsonians crowded into the back room at Wunderbar to learn about the plans to restore the historic Hudson River racing sloop Eleanor, and much has happened since then. 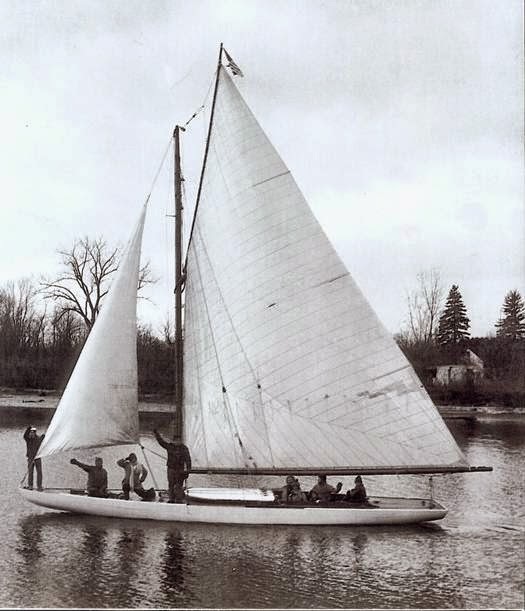 Tomorrow night--Thursday, January 22--everyone interested in the progress of the Eleanor restoration project is invited to return to the back room at Wunderbar for the annual reunion and meeting of the Hudson River Historic Boat Restoration & Sailing Society. Come and hear about what has been accomplished and what is planned for 2015. The meeting begins at 6:30 p.m. After the meeting, which is promised not to be long, all are invited to stay at Wunderbar Bistro for a "Dutch treat" dinner. Wunderbar Bistro is located at 744 Warren Street. If you missed the interview this morning with mayoral hopeful Tiffany Martin Hamilton on WGXC's @Issue, it has been archived and can be heard here. Hudson's favorite flaneur, Scott Baldinger contemplates the stone in Staley B. Keith Circle: "A Rock and a Hard Place." Two things worthy of note happened at the regular meeting of the Common Council on Tuesday night. The first was a resolution, which had not been introduced at the informal meeting on January 12, to enable the Council to have its own legal counsel. In introducing the resolution, Council president Don Moore explained that "the mayor wants counsel that is his exclusively" and "the Council needs to have an attorney to act as its legal adviser." This attorney would be paid a $15,000 annual retainer, from funds already in the 2015 budget which would be reallocated for the purpose. Responding to a question from Alderman Abdus Miah (Second Ward), city attorney Carl Whitbeck said he had not seen the resolution and could not comment, but he pointed out that in other municipalities, the council does have its own counsel. "The charter does not say the Council can or cannot retain its own counsel," he said. Moore maintained that the charter gives the Council the ability to hire advisers and retaining an attorney was hiring a legal adviser. Mayor Hallenbeck had different ideas. "It is the mayor's position," he declared from the back of the room, "that the charter clearly states that the mayor has the authority to appoint the attorney." He made reference to the 2006 referendum (which asked: "Should . 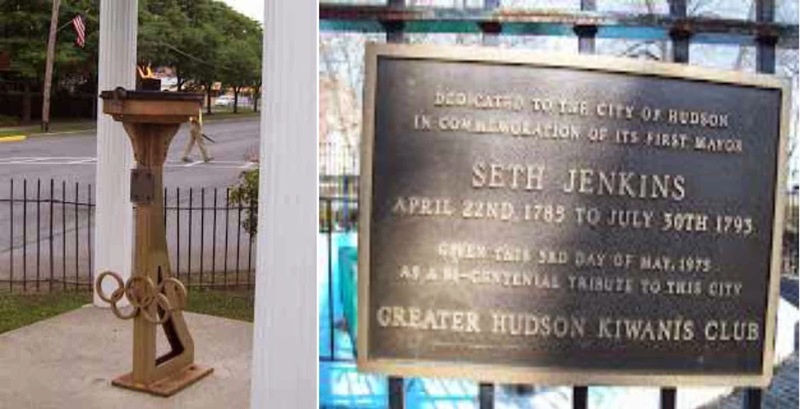 . . the Hudson City Charter be amended so that . . . the Common Council may, upon a majority vote of the Common Council, employ its own legal counsel to advise the Council on matters affecting the City of Hudson?") and reminded the Council that the referendum had failed. He maintained that, in wanting its own legal adviser, the Council was "lessening the powers of the mayor," and insisted that such action required a referendum. Beginning by telling the mayor, "You fired a qualified person for a political reason," Alderman John Friedman (Third Ward) argued that there was no need for a referendum. "The Council has the power to hire and retain its own adviser." He then reeled off a list of New York State laws that the Council must understand. Addressing the mayor again, he elaborated: "You fired Dan Tuczinski because you wanted to hire someone who worked in the county attorney's office." He then concluded by asking rhetorically, "How can I, who has taken an oath to do a job, do that job? I rely on the professional advisers that are provided." Alderman David Marston (First Ward) pointed out, "Our agendas are full of matters that require legal advice," and questioned how there could be Legal Committee meetings with no attorney present. He called the resolution to reallocate funds already in the city attorney's budget "the fastest, cleanest way to end this." Glenn Martin, former police chief and one-time candidate for Third Ward supervisor, speaking from the audience, raised a number of objections. He wanted to know why the resolution was not introduced at the informal meeting, who was paying for the Council's legal adviser, and whether that person would be "an adviser or an adversary." Warming to his subject, Martin called Friedman a clown, at which time Moore rapped his gavel and declared, "I will not take personal insults in this chamber!" He demanded that Martin sit down. Instead, Martin left the room but not the building in a huff. Alderman Nick Haddad (First Ward) was not the first to allude to a lengthy executive session that had taken place in November. He told Hallenbeck that he "felt encouraged that the executive branch supported Council having its own counsel" and said he was surprised at the mayor's opposition. The mayor then declared that "if this body should pass this resolution," he wanted an opinion in writing from the "real legal counsel," presumably meaning Whitbeck, before he would sign it. The resolution did pass. All the aldermen voted in favor except for Alderman Bob Donahue (Fifth Ward), who voted no, and Miah, who abstained, having earlier in the discussion delivered a lecture on the theme of working together and not battling. A vote on the proposed local law to establish minimum sizes for studio and one-bedroom apartments was also on the agenda. Before the vote, Friedman proposed an amendment to the law, eliminating the 500 square foot minimum for one-bedroom apartments and making 350 square feet the minimum size for an apartment no matter what the configuration. Haddad objected that the amendment "played into the wrong people's hands" and spoke of the perceived housing shortage in Hudson as "a manufactured shortage." Alderman Tiffany Garriga (Second Ward) spoke in support of the amendment, pointing out that people in Hudson Terrace lived happily in one-bedroom apartments that were about 380 square feet. The vote to amend the law passed with only Haddad voting no. Because the change constitutes a material change, the amended law must sit on the aldermen's desks for another ten days. There was some suggestion that a special meeting should be held rather than waiting until February to vote to remove it from their desks and enact the law. Tomorrow morning--Wednesday, January 21--at 10 a.m., self-declared mayoral candidate Tiffany Martin Hamilton will be the guest on @Issue on WGXC. Hamilton will be interviewed by Victor Mendolia, Debora Gilbert, and Debby Mayer. 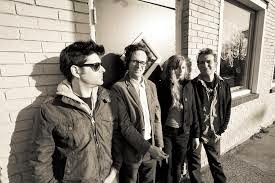 @Issue can be heard at 90.7 FM on your radio dial or online at wgxc.org. What's Next for the Hudson Arcade? For the pessimistic among us, this seemed only a matter of time. The Register-Star reports today that the plan for a Hawthorne Valley Farm Store in the building at Warren and Fifth streets, which has been under construction for close to two years, has been abandoned: "Hawthorne Valley/Galvan store plan falls through." Gossips Is Five Years Old! Today is a double anniversary. One month ago today, I officially adopted my new dog, Joey. In that month, Joey has become a familiar dog about town. Five years ago today, I started my new blog, The Gossips of Rivertown. In those five years, Gossips has become a go-to source for hyperlocal news, information, and history about our beloved and quirky little city. The anniversary of Gossips is, as always, an occasion for thanksgiving and celebration. Gratitude goes to all the readers who have made Gossips a blog to be reckoned with, but very special thanks is reserved for the readers who set their own subscription rate--anywhere from $10 to $1,000--and became "voluntary paid subscribers" to The Gossips of Rivertown and for the businesses, organizations, and events that have chosen Gossips to get their message to the community of Hudson and beyond. Gossips invites you to join the celebration of five years of delivering news, history, commentary, and gossip about the events, machinations, and trouble right here in our own river city by adding your name to the list of 2015 Subscribers. Just click on the "Donate" button in the right column. Your support--in any amount--is enormously appreciated and keeps Gossips going. 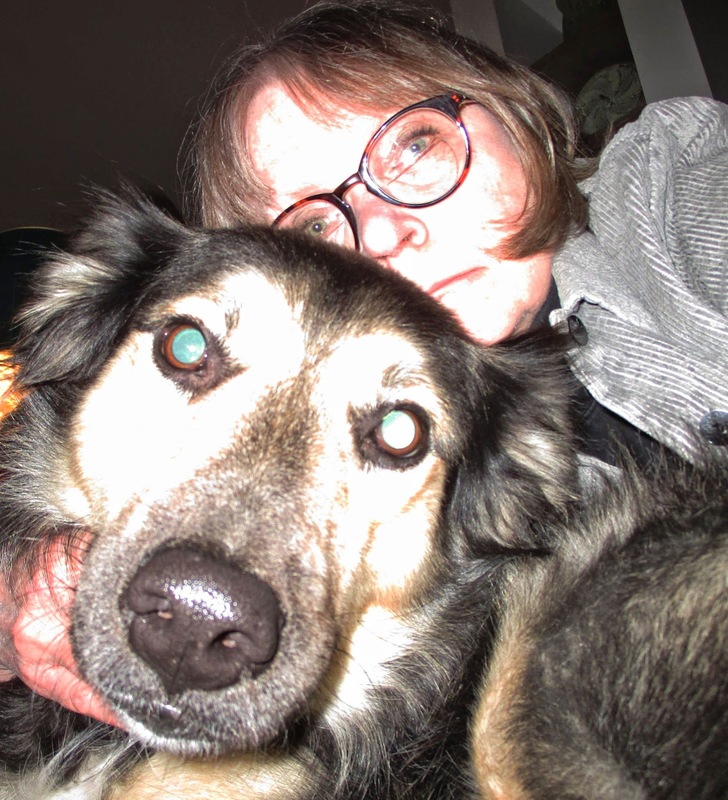 Readers are also invited to help Joey and me celebrate today at Bruno's (227 Warren Street). We'll be there from about noon on, so come by and congratulate us. 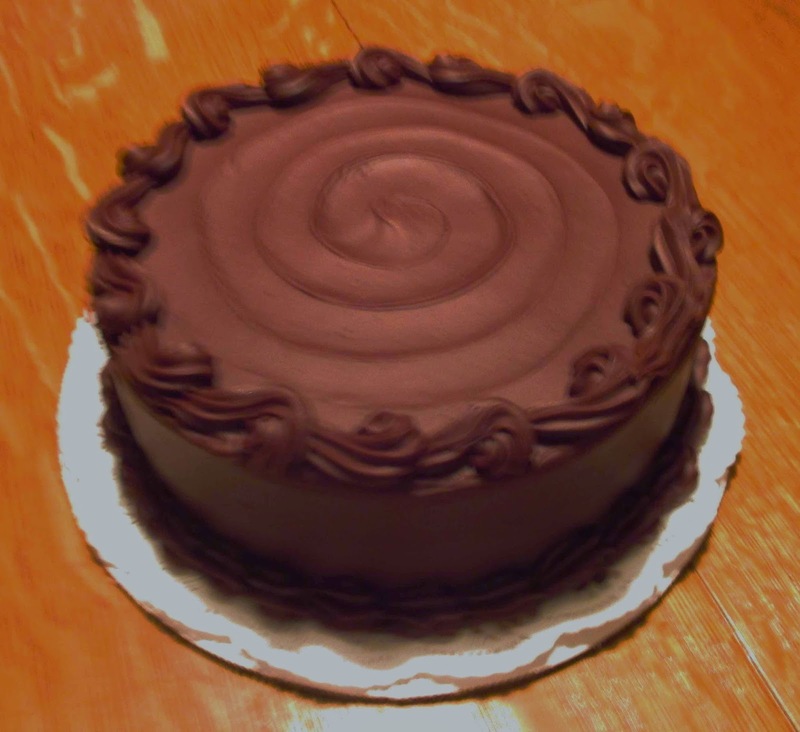 Have your lunch or get your lunch at Bruno's and enjoy a piece of Gossips' scrumptious fifth anniversary cake, from Cafe Le Perche, compliments of The Gossips of Rivertown. Dogs get to celebrate, too! There is an equally scrumptious cake just for them, made by Shannon Kenneally of Bruno's, which Joey will be sharing with all his canine friends to celebrate finding his new home in Hudson. At the last Common Council meeting, Bob Loveridge made a presentation about Kiwanis Club and his interest in reviving the Kiwanis Club of Greater Hudson, which has not been active since the 1980s. On January 6, Loveridge held an informational meeting at the Central Fire Station about bringing Kiwanis Club back to Hudson. For anyone who moved to Hudson in the past two decades, the only visible evidence of the work of the original Kiwanis Club consists of the Olympic Torch Memorial in the triangle at the intersection of Columbia, Green, and State streets and Inspiration Fountain in Seventh Street Park, the fountain that replaced the original 19th-century Venus fountain which many wish were still there. Curious to know more about the work of the Kiwanis Club in Hudson in its heyday, I contacted Joe Kenneally, who had once offered to tell me about Kiwanis Club. He responded by generously lending me a scrapbook of Kiwanis memorabilia, maintained by the club's historian, Robert Thatcher. 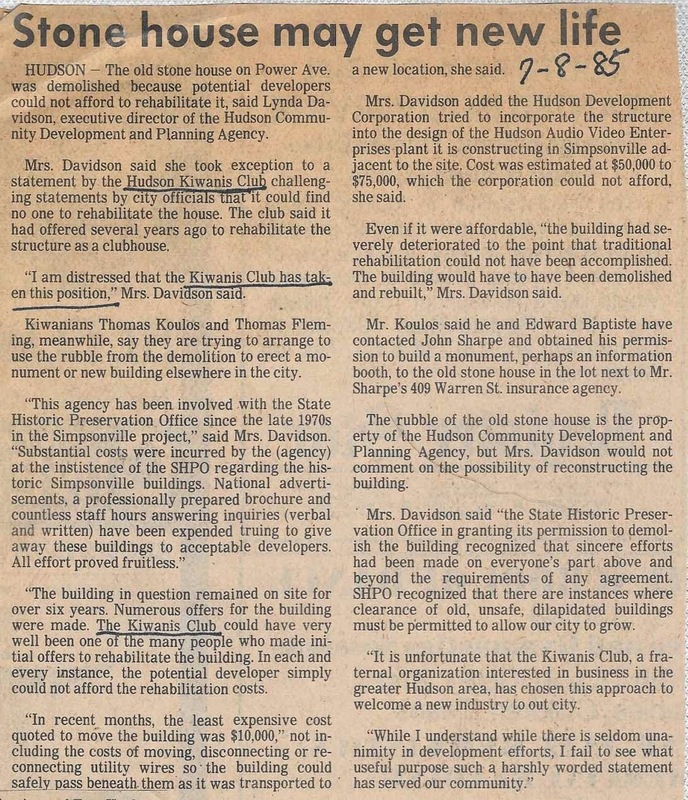 On the very first page of that scrapbook, I discovered newspaper clippings that told of a Kiwanis Club historic preservation effort. Unfortunately, the earliest of the clippings made it clear that the effort had not been successful. The scanned article is too small to read at this size, so the text is transcribed below. 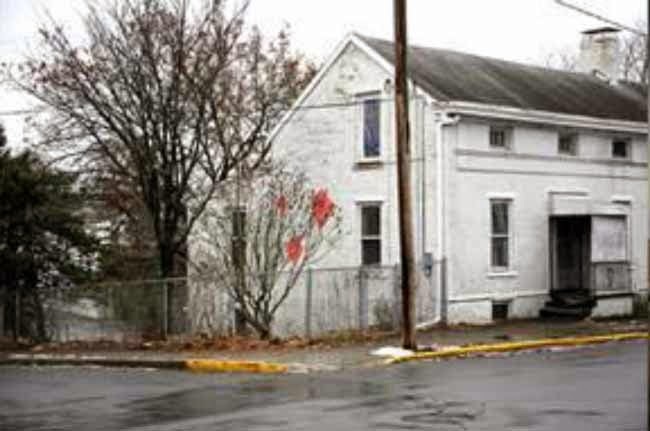 HUDSON--The old stone house on Power Ave. was demolished because potential developers could not afford to rehabilitate it, said Lynda Davidson, executive director of the Hudson Community Development and Planning Agency. Mrs. Davidson said she took exception to a statement by the Hudson Kiwanis Club challenging statements by city officials that it could find no one to rehabilitate the house. The club said it had offered several years ago to rehabilitate the structure as a clubhouse. "I am distressed that the Kiwanis Club has taken this position," Mrs. Davidson said. Kiwanians Thomas Koulos and Thomas Fleming, meanwhile, say they are trying to arrange to use the rubble from the demolition to erect a monument or new building elsewhere in the city. "This agency has been involved with the State Historic Preservation Office since the late 1970s in the Simpsonville project," said Mrs. Davidson. "Substantial costs were incurred by the [agency] at the insistence of the SHPO regarding the historic Simpsonville buildings. National advertisements, a professionally prepared brochure and countless staff hours answering inquiries [verbal and written] have been expended trying to give away these buildings to acceptable developers. All effort proved fruitless. "The building in question remained on site for over six years. Numerous offers for the building were made. The Kiwanis Club could have very well been one of the many people who made initial offers to rehabilitate the building. In each and every instance, the potential developer simply could not afford the rehabilitation costs. "In recent months, the least expensive cost quoted to move the building was $10,000," not including the costs of moving, disconnecting or reconnecting utility wires so the building could pass beneath them as it was transported to a new location, she said. Mrs. Davidson added the Hudson Development Corporation tried to incorporate the structure into the design of the Hudson Audio Video Enterprises plant it is constructing in Simpsonville adjacent to the site. Cost was estimated at $50,000 to $75,000, which the corporation could not afford, she said. Even if it were affordable, "the building had severely deteriorated to the point that traditional rehabilitation could not have been accomplished. The building would have to have been demolished and rebuilt," Mrs. Davidson said. Mr. Koulos said he and Edward Baptiste have contacted John Sharpe and obtained his permission to build a monument, perhaps an information booth, to the old stone house in the lot next to Mr. Sharpe's 409 Warren St. insurance agency. 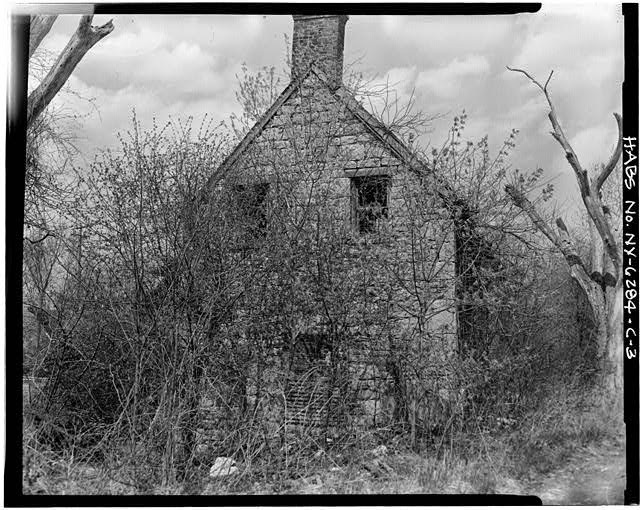 The rubble of the old stone house is the property of the Hudson Community Development and Planning Agency, but Mrs. Davidson would not comment on the possibility of reconstructing the building. Mrs. Davidson said "the State Historic Preservation Office in granting its permission to demolish the building recognized that sincere efforts had been made on everyone's part above and beyond the requirements of any agreement. SHPO recognized that there are instances where clearance of old, unsafe, dilapidated buildings must be permitted to allow our city to grow. 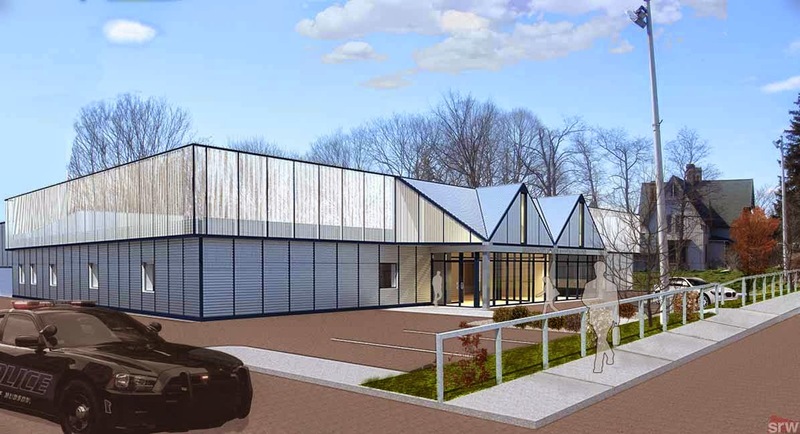 "It is unfortunate that the Kiwanis Club, a fraternal organization interested in business in the greater Hudson area, has chosen this approach to welcome a new industry to our city. "While I understand while there is seldom unanimity in development efforts, I fail to see what useful purpose such a harshly worded statement has served our community." 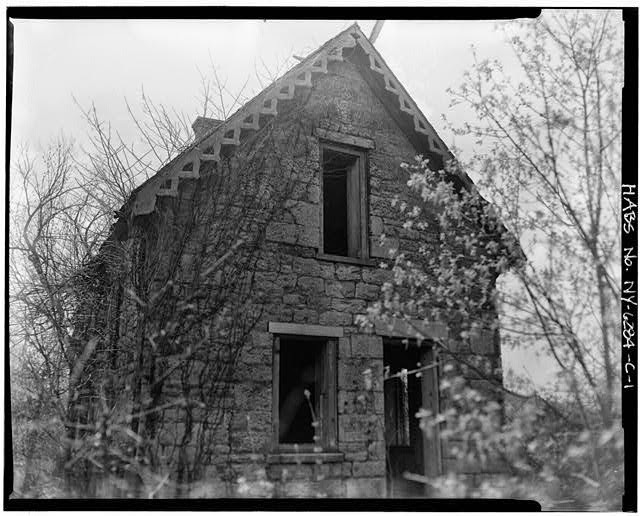 Studying the pictures of the Simpsonville houses in the Historic American Buildings Survey, one can surmise that the house in question is the one shown in these photographs--the only stone structure in Simpsonville. Last week, following the Kiwanis meeting, member Tom Fleming released a statement that the club had discussed and was "dismayed at" the building's demolition. The club had in 1981-1982 offered to rehabilitate the structure for a clubhouse, but the offer was turned down because it would not have been a commercial use. In the July 10 article, club president Paul Kengla explained that "the statement released by Kiwanis last week was never actually an official position of the club, but a statement of opinion by some of its members." Kengla is further quoted as saying: "We decided that yes, the club was definitely concerned in 1981-82 and we are sorry that it [the demolition] happened, but have no further concern with it now." 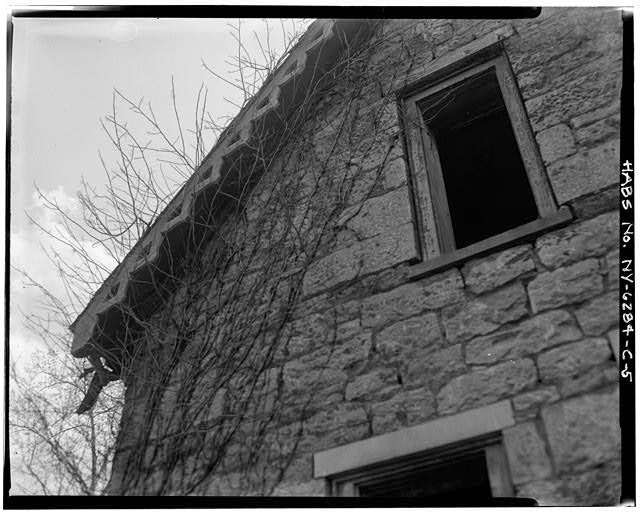 The article concludes by saying that Koulos and Fleming, "both as private citizens, decided to continue the project of finding some use for the stone house rubble." I wonder if they ever did. 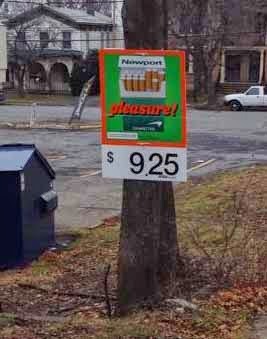 On Friday, Gossips reported on a sign, advertising cigarettes, that had been affixed to a tree behind the Quick Mart on Green Street, very close to the property line of 17 McKinstry Place. The sign had reportedly been positioned there to attract hospital workers to the store. Today, the owner of 17 McKinstry Place reports that the sign is gone, but it is not known who removed it. We know they're here. Their scent from time to time offers evidence of that. But this morning, while walking Joey at 7 a.m., I had the rare experience of actually seeing a skunk out and about. It was lurking in the morning dim in Cherry Alley, by the dumpster behind the building still known as the Shrimp Box. Not wanting to rile the skunk, and fearing Joey might bark, we beat a hasty and soundless retreat. Thank goodness nature gave the beast a big white stripe along its back. Without it, I might not have immediately recognized the wild creature for what it was. "In the Bleak Midwinter . . ."
I'm Not an Architect, But . . .
Why a Simulated Ball Drop?